So often janitorial bids are confusing and difficult to understand when in reality cleaning prices should always be crystal clear and certainly easy to compare. We know that finding the right janitorial company to partner with can be a difficult task, especially given how many companies there are here in Michigan from which to choose. Not only are is it a crowded janitorial marketplace, there are so many different level providers and so many other factors to consider when trying to decide what company will be the best long term fit for your facility. What Makes Up A Janitorial Bid? No matter how much we would all love if effective commercial cleaning and janitorial services were easy to find, effective and affordable, that just isn’t the case. Deciding upon your next cleaning company doesn’t have to be a shot in the dark if you are armed with good information. First, what’s really in a bid? Every service industry, janitorial companies included, must account for hard costs like insurance, taxes, labor, benefits, cleaning supplies and more. As is with any service business, the largest hard cost is the price of labor, especially considering the changes to minimum wage here in Michigan. Aside from this, you also have your facility’s needs to consider. For instance, budgetary requirements, your building’s traffic, and maintenance needs among a host of other things. In order to provide you with the most accurate information about the cost of cleaning your facility, your prospective janitorial company is going to need to know these factors as well as information like square footage, the number of restrooms, floor type and any other details that can help them build an accurate quote. Site visits can also be an important component of accurate janitorial bids. In an era of ever tightening budgets, we are all looking for a way to trim costs. Still, keep in mind when negotiating costs that there needs to be a balance between reducing the cost to you and making sure your prospective company is still turning a healthy profit. Go too low and your commercial cleaning company simply won’t be able to do the work you need. Janitorial companies have hard costs especially with regard to labor hours. They need to be able to cover their costs in labor, equipment, administration, supplies, and most importantly, net a reasonable profit margin. Without that they won’t be in business for long. So, when looking at prices for your commercial cleaning company, you have to consider what it costs your janitorial services company and what it costs you and strike a healthy balance. If you are using lowest price as the sole basis for deciding on a Plymouth janitorial company, you are not likely to like the results. Getting a company that fits your bottom line but doesn't do the work promised or the work you need isn’t a good deal at any price. Getting your facility's needs met is the first priority of any potential partnership between you and an Ann Arbor cleaning service. This doesn't just mean that they sometimes provide the level of service required, it means that they consistently deliver on their promises to you and adjust according to what you need. While price will always factor into choosing a contractor, it should never be the only factor. There is an important distinction that needs to be made between price and value. If you are receiving poor or inconsistent service at a rock bottom price, you might like the price but you aren’t getting what you need. Another way to think out about it is paying to have your facility not cleaned. No one would ever say “Hey! That is a great deal on not having my facility cleaned!” And the flip side of this is that high prices are not a guarantee of better service. 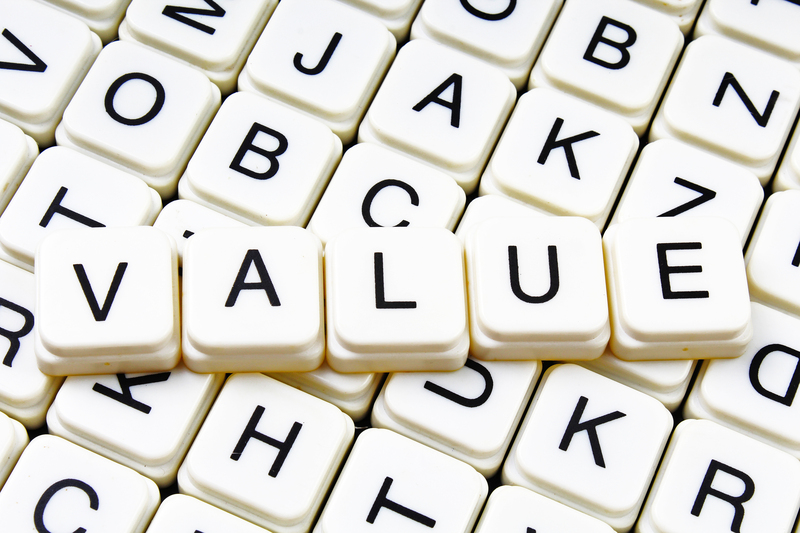 You have to look beyond price t determine if you and your facility are truly getting value. All too often you will ask for a number of janitorial quotes and the prices will not actually reflect the reality of what your facility needs, value or what you will really end up paying. Many companies simply don’t know how to accurately price their services. Low prices can be a way of securing your contract and then boom, you are hit with hidden charges and fees and high prices are usually a result of inexperienced bidding. As Facility Manager, you should be looking for the company that offers a reasonable and clear price that falls within your janitorial budget. As such, you deserve to get clear bids and transparent pricing to help you make the best decision for your facility. Cheap prices are always going to be tempting, especially if your budgets are tight to begin with. Unfortunately, very low prices are often a red flag for activities like illegal hiring, subcontracting, low quality service, and pricing games. Still, it is all to often the Facility Managers convince themselves that as a result of their budget that they have to partner with a bottom of the barrel commercial cleaning company in order to make ends meet. Never settle for a company that isn’t going to provide a consistent level of quality in their work regardless of their price. The best cleaning companies in the industry understand that many Facility Managers are in the same position and actively work to come up with custom cleaning solutions to make sure that your facility gets cleaned properly without going over budget. By taking advantage of industry proven practices like Smart Cleaning and Team Cleaning, you can streamline your cleaning to only include the essentials while removing other expensive services that your facility does not really need in order to operate effectively. Experienced, professional janitorial companies know which services can be cut and which cannot in order to help you meet your bottom line numbers. They know that cutting service to areas without thought and planning will immediately cause an influx of complaints and calls that will cause all kinds of problems. Cuts have to be smart, strategic and planned. For instance, maybe the conference room can be cleaned once or twice a week, while restrooms must be cleaned every evening. The right commercial cleaning company will be able to work directly with you to make these calls to get the core areas of your building serviced without showing an appreciable loss in service to your tenants or employees. For smart cleaning to be effective, however, your cleaning company needs to have a detailed and complete understanding of the ins and outs of your facility. This means that you need to do a complete walk-through and sit down to create a plan based on traffic patterns and unique building requirements. Smart Cleaning, done correctly, will give you the tools you need to still get a high level of consistent service without going over you cleaning budget. It is always a balancing act between a reasonable price and a reasonable level of service when it comes to commercial cleaning. You don’t want to overpay for your cleaning service but at the same time you don’t want to accept the first unbelievably low bid you get as you likely won’t like the results. The goal of course is value, that point where price and quality meet to give you the most bang for your janitorial buck. Here at Stathakis, we deliver janitorial services and building maintenance services to Southeastern Michigan including: Genesee County, Livingston County, Washtenaw County, Monroe County, Wayne County, Macomb County, St. Clair County. We offer effective, professional office cleaning services to the cities of Detroit, Ann Arbor, Farmington Hills, Dearborn, Farmington, Livonia, Plymouth, Downriver, Royal Oak, Southfield, Troy, Auburn Hills, Novi and more.